Cartecay Bike Shop was started in 1997, we are a full-service bicycle shop located in the North Georgia mountains not far from the Tennessee and North Carolina borders. We are surrounded by parks, rivers, hiking trails, challenging road rides and 55+ mountain bike trails. With over 45 years of experience, we make sure that whatever you need – bikes, repair & maintenance, rentals, accessories, group rides, bike fit or trail advice – we have it with guaranteed GREAT SERVICE! Dondi grew up in Cajun country racing BMX bikes in full checkered-pink-80s-style regalia in southern Louisiana. 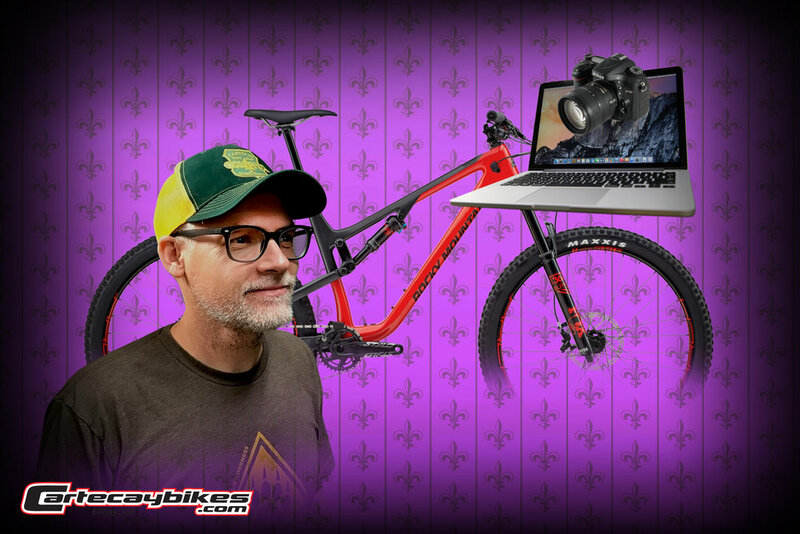 Dondi's the design, marketing and photography guy whose career stars have occasionally aligned with biking, granting him stints working in the outdoor industry, including RockShox and SRAM. 20 years ago, Dondi met his wife through a Cartecay Bike Shop group ride at Bear Creek. Dondi admits he would have never had any sort of social life without bikes. You'll recognize Dondi by being the most vertically challenged in the shop, but thankfully, Ben is 6'2" and can reach stuff on the top shelf. He is certified with the Professional Mountain Bike Instructors Association (PMBIA) and helps coach the local youth development team for the National Interscholastic Cycling Association (NICA). 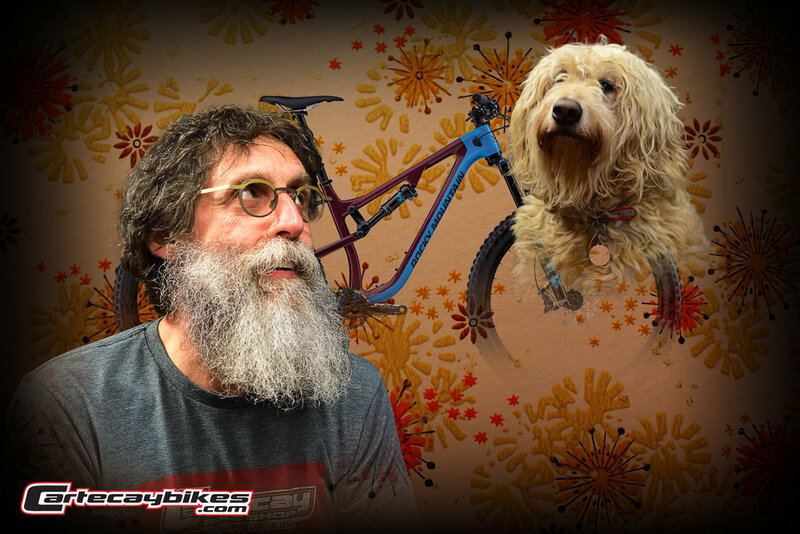 Ben is our California-raised mechanic and all-around bike expert with a wicked sense of humor. Ben is a graduate of Barnett's Bicycle Institute of Colorado Springs and is certified in bicycle mechanics - specializing in suspension service, wheel building and truing. From maintenance to repairs, he will keep you happily on the road and trails. Some may know Ben best for his sadistic racing on a single-speed full-rigid 29er. Ben hates when we say this, but he is our resident 'hipster' with his vast knowledge of libations and extensive beard grooming. As far as Dave can look back, he's spent his entire life on and around bikes. In 1979 at age 16, he started working at a bike shop in Winter Haven, Florida. His parents bought the bike shop and eventually opened a second location. After Dave's parents retired in 1997, Dave owned and operated The Winter Haven Bike Shop locations, meeting many locals and travelers in Central Florida. Dave ran the shop until 2013 when he sold it and relocated to North Georgia, bringing his multitude of bike knowledge and mechanic experience to Ellijay. Dave has been taking mountain bike trips to the North Georgia mountains for over 25 years and knows our local trails as well as we do. He leads many of our Saturday rides along with his ultimate trail dog, Lucy Lou - and she's faster than anyone on the single track! Stay tuned for bio's from Ashley and Adam! Wow what a great weekend! The Singletracks Ride-n-Rally at Mulberry Gap was super fun and we were happy to help out. A Thursday afternoon of karaoke at Grumpy Old Men Brewing is the perfect time to debut our new baggy jerseys! Get yours now at Cartecay in Ellijay or Grumpy Old Men in Blue Ridge. There’s nothing like a little Spring cleaning. The trails are looking great, come ride with us! What a great day to ride bikes! The Rocky Mountain Demo at the Talking Rock Nature Preserve was a huge success. We are exhausted but loved having everyone out for fun. New Devinci Troy bikes are looking awesome.